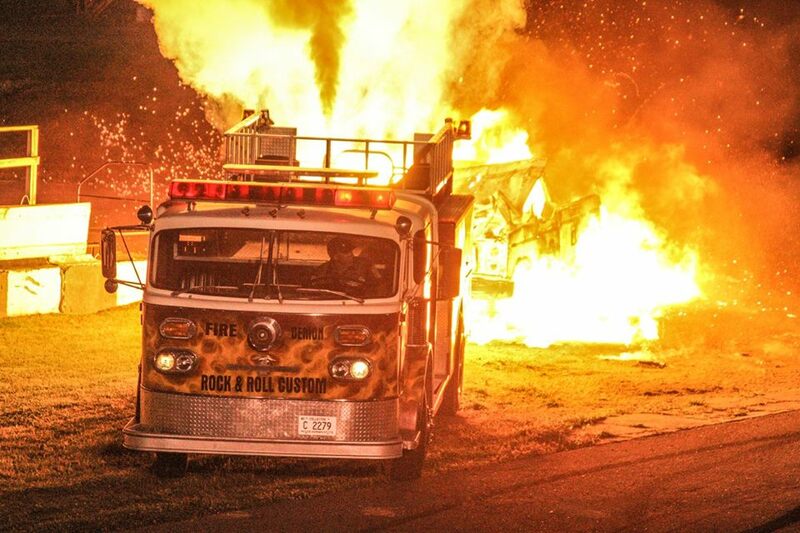 Raging Inferno is a fire truck that will light your fire. It will melt down anything that's put behind it. 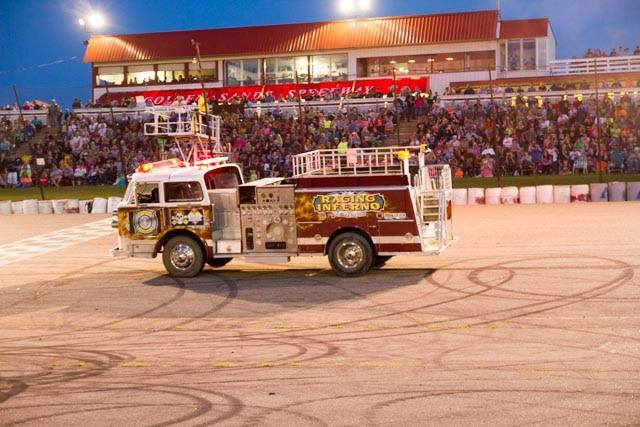 The truck is built around a 1981 American LaFrance Century series fire truck, that has been converted to run on a 575 HP 496 cubic inch Big Block Chevy engine. 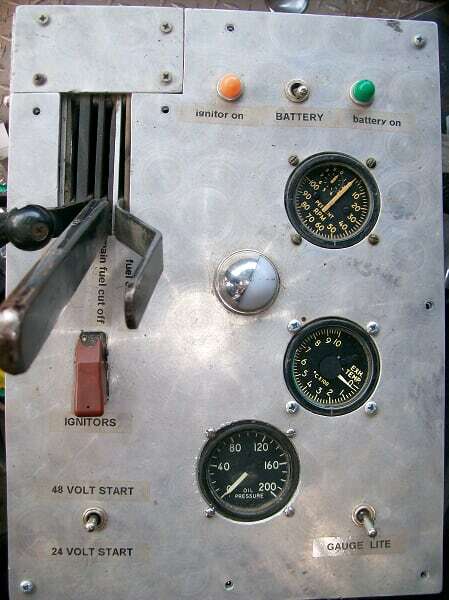 All of the original fire-fighting equipment has been removed, and the truck has been retro-fitted with a Westinghouse J-34 jet engine out of U.S. Navy Banshee fighter plane. 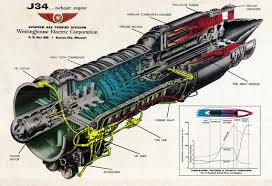 The engine can produce up to 6500 LBS of thrust, with up to 12,000 HP at 12,500 RPM at full power. So not only can you have a jet fire-truck at your event to put on a smoke, fire, or meltdown show. It is also set up to give rides before and after the show. Raging Inferno is Street Legal, licensed, Insured, and can be driven at almost any event. ​Your safety is our number one priority!